The California State University system is rolling out SkillSurvey's online reference checking technology to increase recruiting efficiency and gain insights into job candidates. 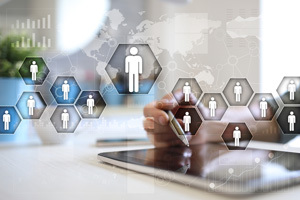 SkillSurvey Reference creates an automated process for checking candidates' references and obtain feedback to determine a candidate's skills, knowledge and performance. The system provides job-specific surveys (covering faculty, administrative, executive/leadership, customer service, engineering/IT and staff roles) that references can respond to anywhere, on any device, via e-mail or text message. Predictive analytics then calculate a candidate's likelihood of job success. "SkillSurvey is pleased to partner with the California State University system to offer our referencing and sourcing solutions to its campuses," said Ray Bixler, SkillSurvey CEO, in a statement. "SkillSurvey's technology will enable the CSU to lead the way in making predictive, analytics-driven hiring decisions." For more information, visit the SkillSurvey site.